A movie that was misunderstood back then, this is the film that in many ways destroyed the career of the legend Michael Powell. As this was the first film, which was shown from the killer's prespective. Now, movies which are darker, and deals with crime and serial killer's, I'm always intrigued by theme. This film, has aged at bit's, but it still remains as powerful as it was back then I guess. The first time, I watched it, I found it to be very interesting, it deals with the character so well. It is really more about the character then the violence and kills for me. It is a rich and a deep character study of the character Mark Lewis. Which is portrayed perfectly by the great Karlheinz Bohm. He get's into the character, I could barely imagine someone else instead of him. The amount of tension that Powell builds, is perfect in every way. Now, I know Alfred Hitchcock's Psycho, but for me it does not come close to this, tough Psycho certainly is my second favourite Hitchcock film. 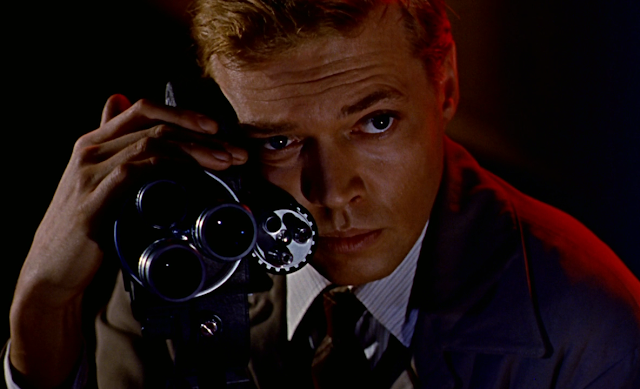 It is one of those few films, which showcase an object as a character of a film, and Peeping Tom does that, the best it could. The camera of Mark Lewis, it is so close to him, it showcases his relationship between his father and him. Slasher, Thriller genre has always been my thing, and this might be the best, at least my favourite in the genre. It is greeted as a horror film by many, because, yes it is disturbing at moments, but that is why I love it so much. As, myself being an introvert, I could relate to the character of Mark Lewis so well. This deals with a dark topic, but besides all of that, it is really an emotional film, especially the ending, which I dare not spoil, It just creates a feeling for Mark Lewis so profoundly. Also, this film is one of the best films about the films as well. It is one of the greatest film made about a movie-watcher. So, If you see, there a lot of things that I share with Mark Lewis, not the killing aspect of course. 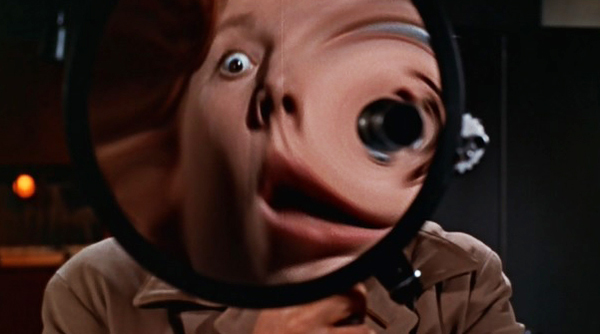 Peeping Tom, is a film which will remain close to my heart no matter what. Many find it slow-paced, and aged. It maybe, but certainly not for me. This deserves a lot more of your attention. I suggest this film very much, please do watch it, If you haven't seen it yet. It is in my top ten favourite films of all time, that itself says a lot. Michael Powell, hats of to you, creating so many masterpieces, and certainly a film that deals with the film that deals with the characters more then the thrill. Hope you enjoyed my first instalment in the favourite film series! Don't forget to give a feed back!